Mark Hamill was recently interviewed at the London premiere of Guardians of the Galaxy by Lizo Mzimba of the BBC about what it’s like returning to the role that made him an icon – Luke Skywalker! He talks a bit about the new cast – and how impressed he is with them – and what it’s like reuniting with the returning cast members. He also touches on Harrison Ford’s injury, although he was not present when it happened. 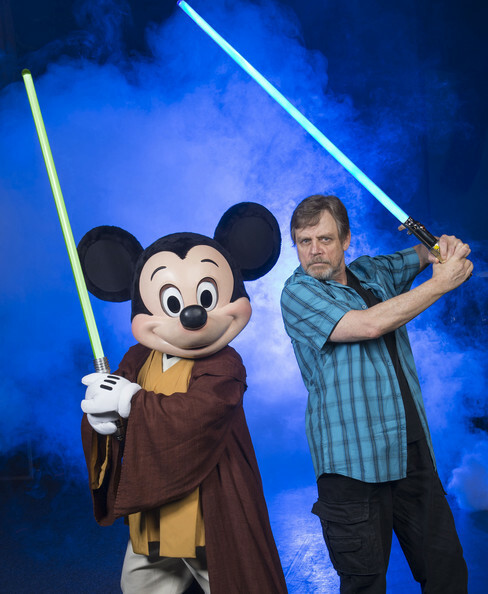 Many of us last saw him during his appearance at Disney’s Star Wars Weekends last month, so it’s a shock to see just how much his beard has grown since then. It’s most impressive! You can check out video of the interview on BBC.com/News/Entertainment. Next article Check out the Latest Sneak Peek at Star Wars Rebels -- A Look Ahead!